It takes all members working together to make any club or organization function and be successful. Each year we have the opportunity to pick one member to honor as the “outstanding member” and give them special recognition at our Christmas Social. 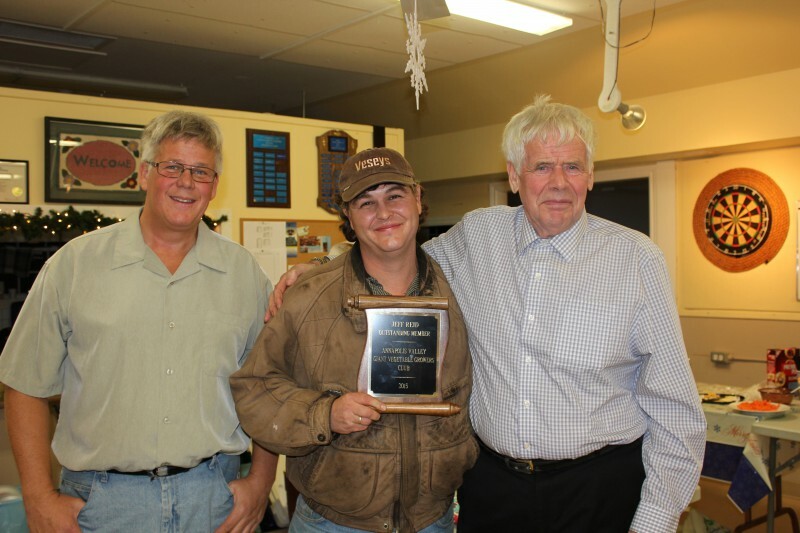 This year is no different as we come together to honor one of our founding members and long time Giant Vegetable Grower. Jeff has been by far the biggest recruiter – Both at Glad Gardens and beyond his infectious talks and conversations about growing the big one have inspired so many growers and continues to bring new members to the club each and every year. • 2008 – Forth at Windsor with 1211 – A new personal best and now you are starting to see Reid seed show up in the mix of many growers. • 2012 – Second place with 1292 – Beet by Gerard who grew the 1727 that year – I think Gerard would agree that that year the student beet the teacher. • 2014 was as frustrating for Jeff with 7th at Windsor 1028 and 4th at GG 943 but on the upward track . • Now this previous year he’s back to the podium with a third in Windsor at 1228. I remember that cold rainy day in Windsor this fall when he made the top three again – Great to have you back to the podium. • Glad Gardens coordinator for our weigh off for all the years the club has been having our event there. Not only Jeff but his whole family has helped in so many ways – Our thanks to all of them for the dedication and commitment. • President of this club for at least three years that I know of – During that time the club continued to grow, moved into the GPC world, and he presided over many meetings and events. • As many know Jeff’s patch has been the gathering place for many of us to learn. He and Valerie never seem to tire of people stopping by or popping in at all hours. This has been a great resource to both myself personally and most growers in the area. I have always learned something there. There is allot to this hobby where your fellow club members and your own experience are the greatest teachers. People have always teased Jeff about not giving up all of his secrets and that he always had something he was not going to share that made him successful. (this really bothered Jeff) I say this could not be further from the truth – Jeff has always been the quintessential grower helping , and teaching anyone who will listen and learn. I believe that most people in this room at one time or another have taken instruction, advise, problem solved or just had a great conversation about Giant Vegetable Growing with Jeff.